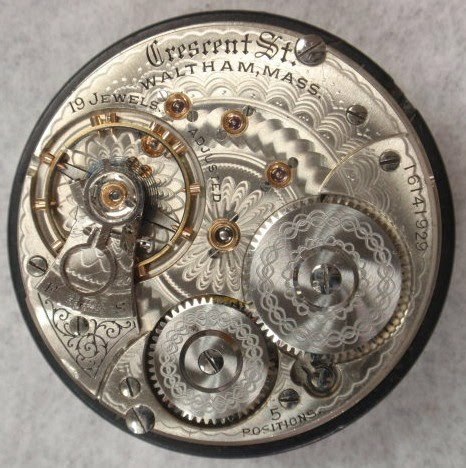 Variation 2 movements are found with the balance jewel screws in the East-West orientation and with the case screws in the BET position. 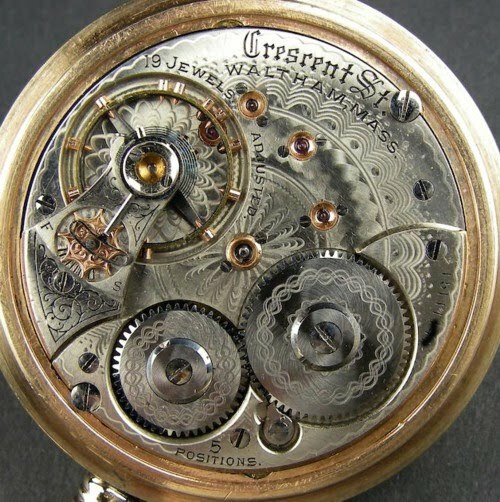 Some of these movements may be marked "5 Positions"
Variation 3 movements are found with the case screws in the EDGE position and will be marked "5 Positions". 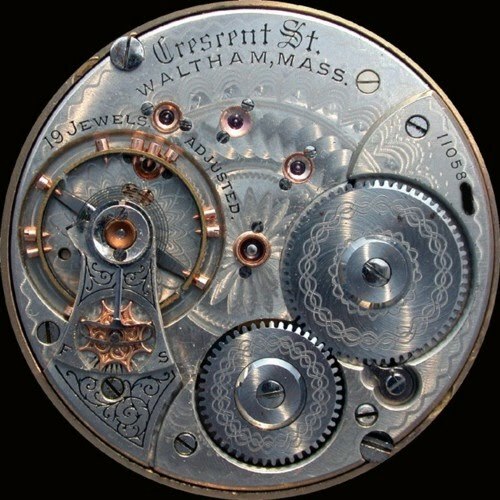 Variation 4 movements are found with the recoil or split click and the 08 Regulator. The appear in 2 runs, 16127001- 800 and 16141701-16142000. 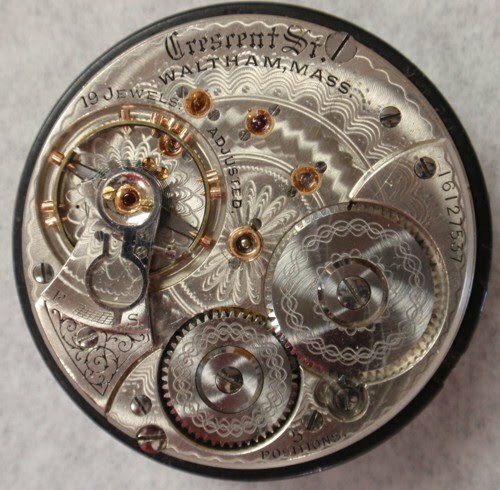 There have been reports of movements in the latter part of the 16141701 run that have the Groove. Variation 5 movements are the same as Variation 4 but with the Groove. As stated in the Variation 4 information, there have been movements with the Groove reported in the second Variation 4 run. If more of these movements are reported there, it may require splitting the run. The current research would suggest that 1400 hunting case 19 Jewel Model 92s were made. There are 5 runs listed in the Gray Book but no movements have been reported from the last two runs. This information is found in the table below. 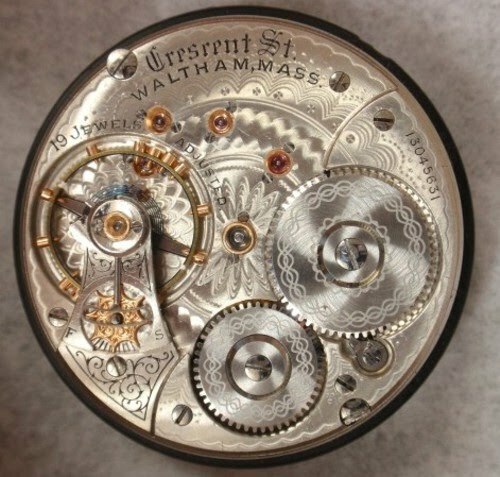 Waltham ceased making 21 Jewel Crescent Street hunters in the 12 millions but made around 10,000 previous to that. Hunting Case 19J Model 92 Cres. Sts.